Tokyo, Japan - Sony Corporation (Sony) is proud to celebrate the one year anniversary of autonomous entertainment robot aibo (ERS-1000) by announcing the release of aibo Choco Edition, a special 2019-only color variation that will be available in Japan beginning Friday, February 1, 2019. This model will be available for purchase on Sony's official retail website (Sony Store Online) from 1:00pm (Japan Standard Time) on Wednesday, January 23, 2019. We will also be accepting orders through the Sony Store, Sony's direct retail locations. Additionally, Sony will also be conducting a promotional campaign. Customers who place their orders by Thursday, February 14, 2019 will also receive a specially colored tail (black) free of charge. Moving forward, Sony will continue developing new products and services to make aibo an even more beloved companion and a partner who grows alongside its owners. Pre-orders will begin from 1:00pm (Japan Standard Time) on Wednesday, January 23, 2019. Orders can be placed through Sony's official retail website Sony Store Online as well as from its Sony Store direct retail locations (Ginza, Sapporo, Nagoya, Osaka, Fukuoka Tenjin). Product shipping will commence from Friday, February 1. Due to limited availability, product may become unavailable for order once production limit is reached. aibo Choco Edition (Color name: Chocolate Tricolor) features a different colored head and torso compared to the standard model (Color name: Ivory White). All other hardware features are exactly the same. For more details on aibo Choco edition, please visit our official website at here (Japanese only). 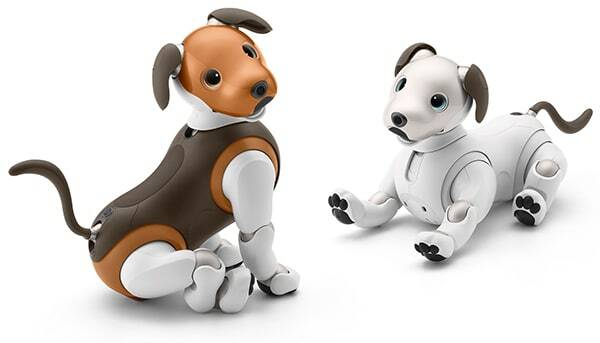 ※aibo and are trademarks of Sony Corporation. ※All other listed companies and product names are trademarks or registered trademarks of their respective companies.